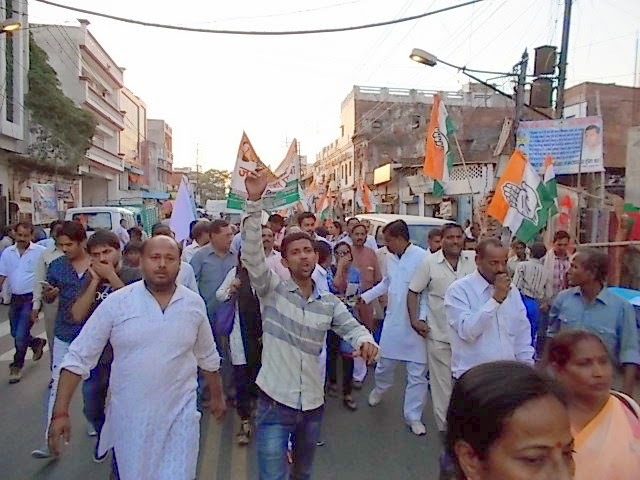 The president Lucknow city Congress committee, Mr Amit Srivastav, demonstrated public awakening parade against Modi government protesting for the land acquisition Bill laid during UPA government. Mr. Srivastav added to the correspondent, "The central government must have to pay the ex-gratia for those farmers who committed suicide for the indebted under the crop, and it will have to pay the compensation for the crop ruined farmer." It is noticeable that the Indian National Congress is going to organize a farmers' rally at Laxman Mela Maidan New Delhi on next Sunday against Modi government.